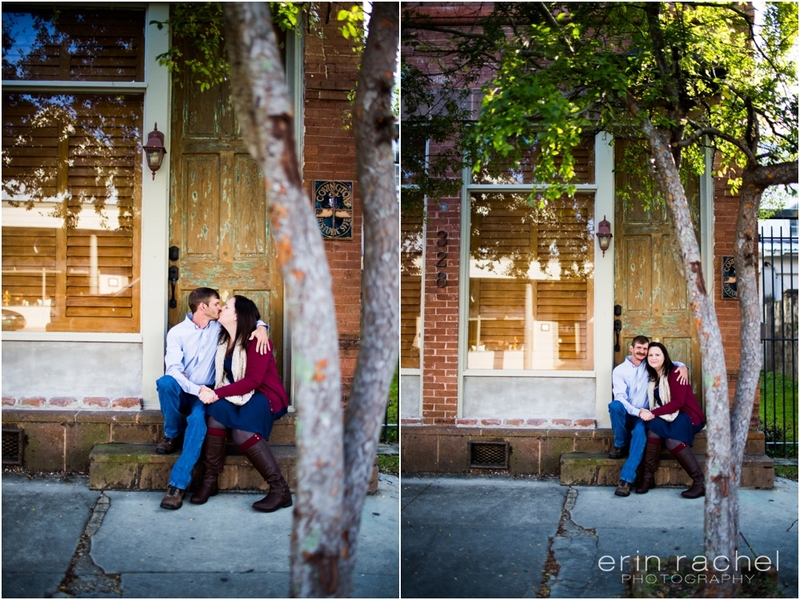 We met in downtown Covington and I actually felt like we were in Boston with the looks of their pictures! The old doors, texture, architecture, colors and the hint of fall down here. Of course we were faking fall…It really wasn’t as cool as the pictures appear. Although we were wishing it was, I don’t care, I still love the look of this session. It’s always a blast when I get to photograph a friend aka workshop attendee aka past mentee aka fellow photographer! Not only is it a blast it’s an honor to get to take pictures of another photographer. 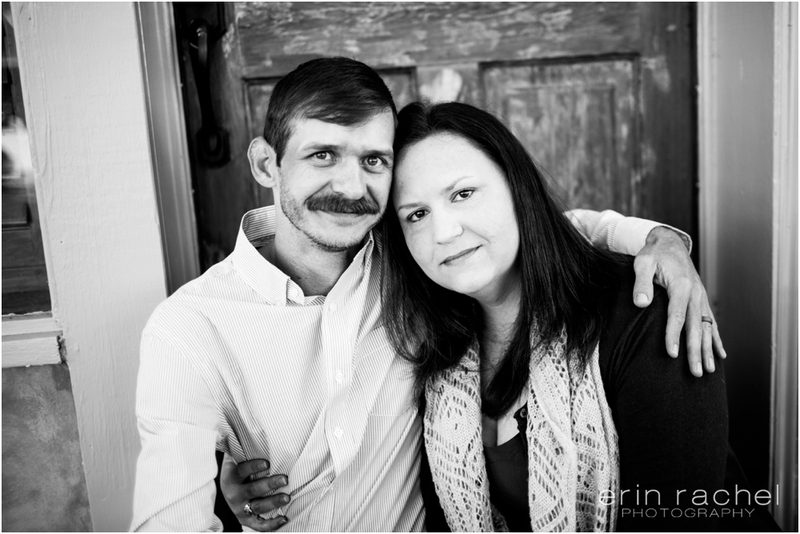 Plus this is their first session since their wedding four years ago and what a trooper Michael was! I have to give him a high-five!!!! I know it’s not every guys favorite thing to do but he had fun with his wife and made her smile, gave her lots of kisses and made this experience so great for her! I think her wish came true!!!!! Amber - EEEKKKK!!!! We’re on the blog. We had such fun. 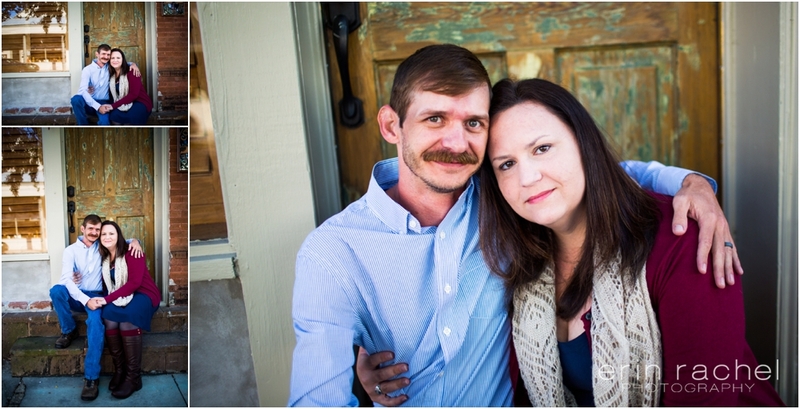 Thank you so much for capturing who we are and some definite “canvas worthy” shots! Thank you…thank you…thank you! JOdi - Great Job Erin! You look beautiful Amber!